Our beautiful composite doors are designed in the likeness of timber yet provide all the modern benefits of uPVC technology, making them exceptionally strong and weather resistant. Designed in the likeness of timber, our beautiful and classic composite doors are guaranteed to leave a lasting impression. Their elegant, timeless design combined with their strong and robust structure make them the ideal choice for the modern homeowner. 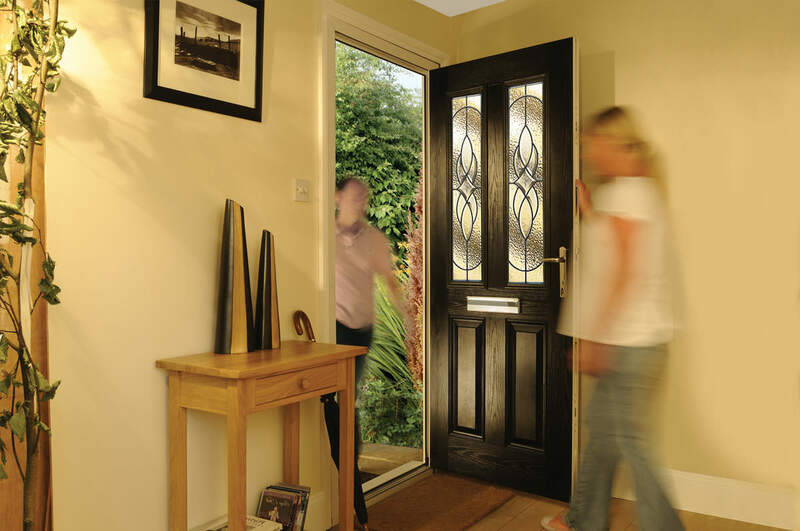 Composite doors are a very popular choice due to their traditional and affordable design. These doors are extremely low maintenance too, combining the very best of uPVC technology and classic good looks. We offer many different styles, colours, glass designs and hardware options to our customers in Lincoln, Nottingham, Newark and surrounding areas. Our composite doors can be customised and tailored to suit any taste and property. Manufactured using the latest uPVC technology and locking system, our composite doors offer exceptional security, efficiency and durability. Their rich and classic style, coupled with superior uPVC materials mean these doors not only look fantastic, but perform year after year. Their timber effect is produced with a GRP (Glass Reinforced Plastic) skin which is available in a variety of colours to suit every household. For those wanting a consistent look throughout their property, our composite doors can be adapted to a range of other styles including fire doors and stable doors. Our composite doors are manufactured using high performing GRP skins and 44mm thick, fully insulated door slabs. This makes them powerfully efficient, providing maximum thermal performance and security. All frames are produced with a choice of Deceuninck’s chamfered or decorative profile designs. 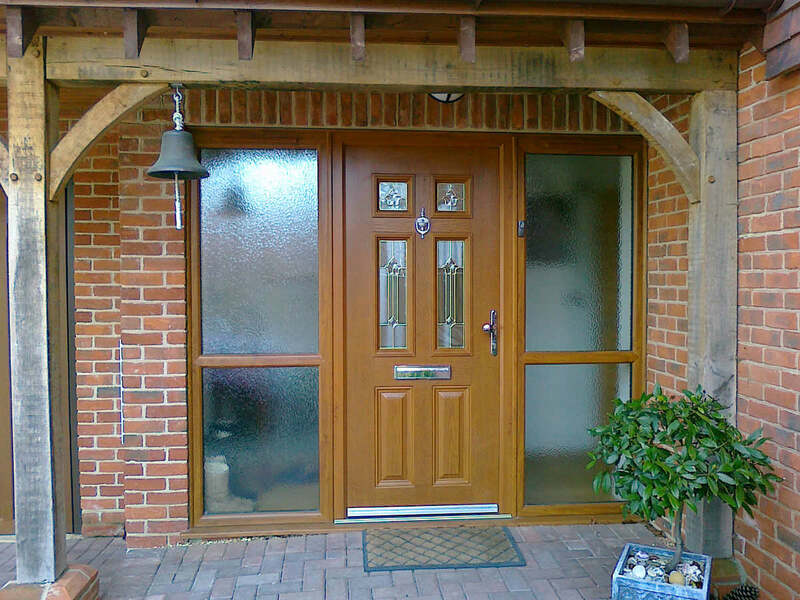 Unlike timber doors, our composite doors will never warp, rot or twist. This is down to their highly durable GRP skin. Much more efficient than standard doors, our composite doors also have a high density foam core which acts as an excellent insulator. Our composite doors are manufactured with a strong and sturdy structural frame making them incredibly robust. Their innate strength combined with the latest hardware, makes our composite doors virtually impossible to break into. We use the latest multi-point locking systems with two hooks, rollers, deadbolt and one soft latch. Additional security upgrades are also available with the Secured By Design accreditation, giving you the option of laminated glass, extra reinforcing and anti-snap/drill barrels for the ultimate protection. All our composite doors are 24mm Kitemarked toughened sealed units manufactured to EN1279. 60 % more structural integrity than standard timber doors. Get in touch today on 01522 512020 for superb composite door prices in Lincoln and Nottingham, or if you would prefer to get in touch online, fill in our online contact form or drop us an email at sales@starglaze-windows.com.